How Can I Go Journeys Spirited Gifts? Where is Journeys Spirited Gifts in Lahaska on the Map? This is one of the nicest and most unique shops at Peddler's Village. 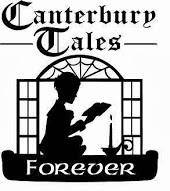 It is packed with the most fabulous gift items, along with wind chimes, crystals, fairy figures, jewelry, books, and other wonderful things that I consider necessities in my life. I also enjoy visiting with one of the friendly dogs that might be napping near the register. Beautiful and very unique selection of gifts, cards, books, crystals and more. i can always find a special gift for someone when I shop here. This is my FAVORITE store! There is something in here for everyone. From the most amazing wind chimes, to such beautiful jewelry. 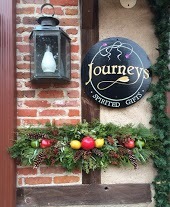 Journey's Spirited Gifts is a very beautiful store with affordable luxuries. They have spiritual items, figurines, hanging orbs, etc.. There is a spectacular array of so many items, that you have to see for yourself! The staff is friendly and helpful, and make your visit there an absolute pleasure :-) A must visit for the smart shopper! What a beautiful store and a charming clerk... strolling through Peddler's Village, we were taken aback by an experience in another store where we were treated very unkindly. Entering this store was a totally different experience - so drastic in fact, that I called the owner a day later to commend him on his employee and the whole experience. I would return here in heartbeat - all people are treated as equals, with kindness and consideration.